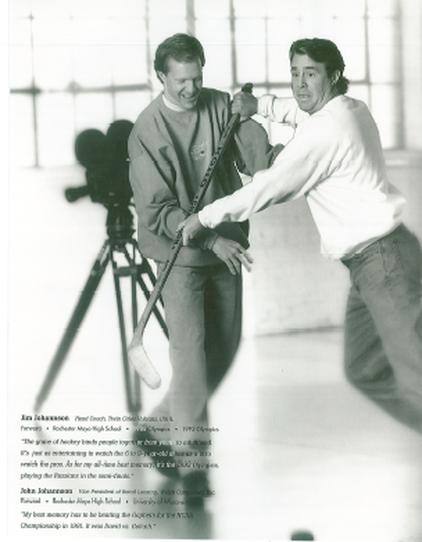 The following information describes previous activity from the development and financing of a hockey film that is being utilized the for Iron Ice film and entertainment project. 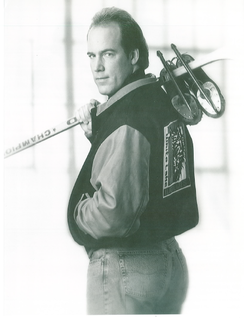 It started from a film project that was in development from 1992-1996 where Minnesota investors, investment bankers, companies and the hockey and business community worked with film producers, marketing and capital advisory teams from Los Angeles that created the foundation and road map for the current Iron Ice film project. Many of the investors, Advisory Board Members, film production and marketing team from this project are also involved with the Iron Ice film project as investors, raising capital, providing technology and marketing services and becoming members of the new Advisory Board. 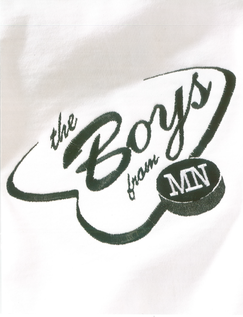 The Boys From Minnesota was a $10 million film project developed by a large team starting in 1992. 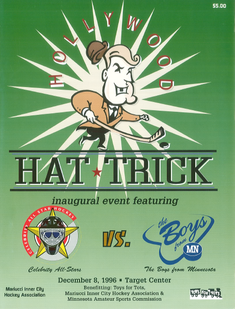 The project successfully developed and sold merchandise by direct mail and in retail locations, produced and distributed a music cd soundtrack that was aired on radio stations in Minnesota, implemented a youth hockey fundraising program with the film merchandise, and produced the Hollywood Hat Trick Celebrity All Star Hockey Charity event at the Target Center in December 1996 that made donations to Minnesota charities prior to the event. 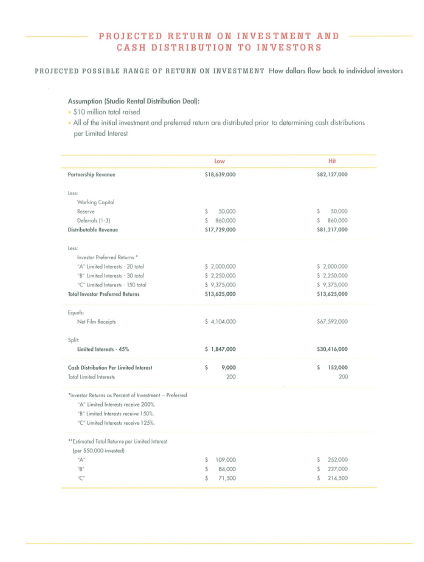 The corporate finance team developed a unique financing structure that mitigated risk to investors. 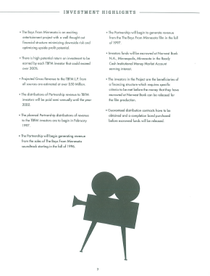 It provided three options for investors to invest into various stages of the film project and the level of risk and return each wanted to receive. 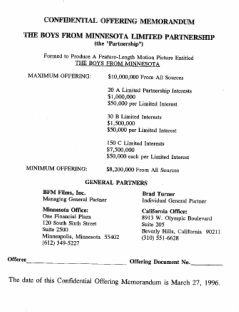 Three different limited partnership interests were created - A. 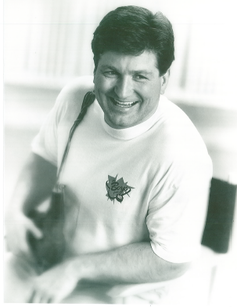 B, and C. The A investors provided the producers complete access to the funds invested with the highest return. B and C investors chose to have less return and their investment was escrowed in a money market account at a major bank generating interest on their funds. 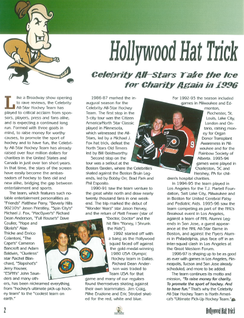 Until film milestones such as talent being signed were accomplished these funds could not be used. The structure also was developed for broker dealers who would not usually risk investing their clients money by allowing them to still make a commission of 10% for selling the deal. The difference of 90% of investors money went into the escrowed money market account and received interest. 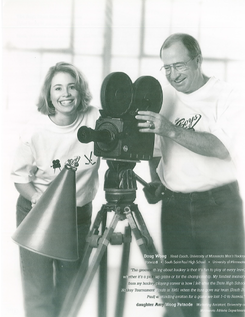 The film project was put on hold in 1996 because the producers of the film made a determination that the escalating costs related to the option and terms of the film script and potential unforseen costs were not a risk acceptable to offer to investors. There were five A investors in the project and they have been offered the opportunity to have a equity position in the Iron ice film project without an additional capital investment. There were two B investors who received back 90% of their funds invested in addition to interest earned from the Norwest Money Market Escrow account. They have been offered to have their previous investment amount not returned converted into an equity position in addition to being offered an additional equity position at a discount if they choose to invest the Iron Ice film project. 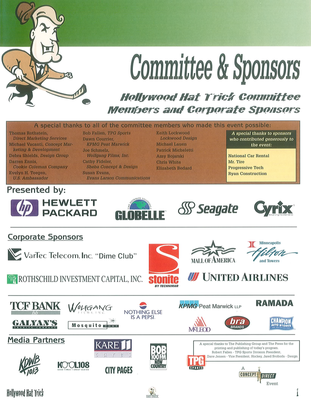 Corporate partners that invested in the merchandise program, youth fundraising marketing program, and Hollywood Hat Trick Celebrity Hockey Game event have been offered to convert their previous development costs into a equity position in the Iron Ice film project. 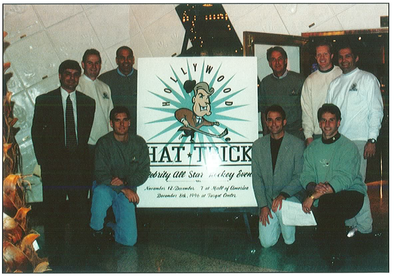 This Advisory Board was organized from 1994 -1996. It is not currently active. Some of these individuals have agreed to be members for Iron Ice Advisory Board. 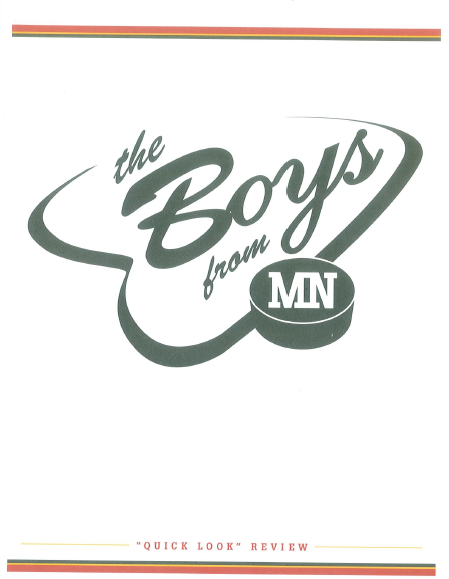 The filmmakers engaged Winston W. Borden from the law firm of Hessian, Mackasy & Soderberg to help assist in bringing together a diverse group of Minnesota leaders with backgrounds in business, sports and politics. The board provided a vehicle for advice as the film project moves forward. The Board had no formal legal authority or responsibility. 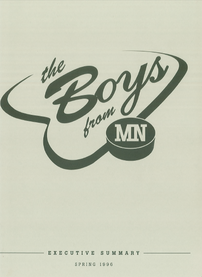 During the project the members of the Advisory Board made numerous contributions including hours of consulting, handling introductions to key people who became extremely important to the project, and modeled in the BFM Merchandise Catalog, This team is one of the most significant added elements that assisted in the progress of The Boys From Minnesota. We partnered with the following organizations that provided their databases. 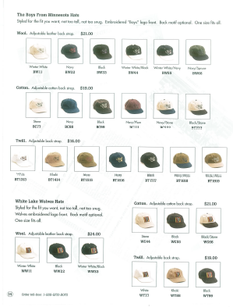 They were to receive a portion of proceeds from the sales of merchandise. 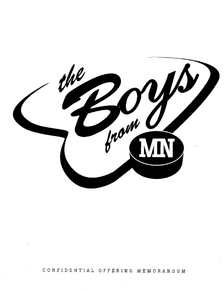 The Minnesota Amateur Sports Commission, Minnesota Amateur Hockey Association, Minnesota High School Coaches Association and Minnesota State High School League. 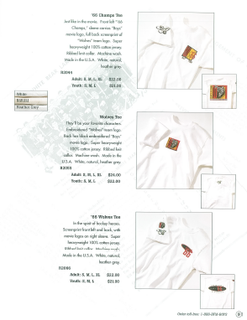 BFM Films, Inc. started a fund raising program using the TBFM merchandise. 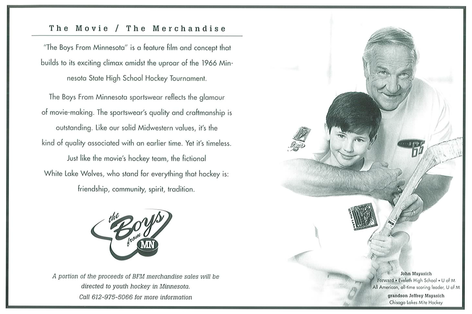 BFM Films, Inc. worked with Tom Duffy, Chairman of MASC; Paul Erickson, Executive Director of MASC Art Sprague, Vice President of Publicity and Promotions for MAHA; Jon Bittner, Executive Secretary of the Minnesota Hockey Coaches Association; and David Stead, Executive Director of the State High School League. 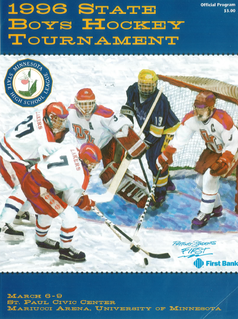 A portion of the proceeds of merchandise sales will be directed to youth hockey in Minnesota.